Afghanistan’s national cricketer 17-year-old Mujeeb Zadran, who was bought by Kings XI Punjab in the Indian Premier League (IPL) has become the youngest ever cricketer to play in the league. At only 17 years and 11 days, Zadran became the youngest player ever to take to the field in an IPL match on Sunday when his team took on Delhi Daredevils. Previously, the record belonged to India's Sarfaraz Khan, who made his IPL debut at 17 years and 177 days in 2015. Coming onto bowl in the third over of the Delhi Daredevils innings, Zadran trapped Colin Munro leg-before to open his tally in the competition. Zadran was cited by India’s media as being the surprise package in Sunday’s match after he finished with 2 for 28 in 4 overs. Kings XI Punjab beat Delhi Daredevils by six wickets. He made his debut for Afghanistan last year against Ireland at Sharjah and has 35 wickets to his name in 15 matches, including a five-wicket haul. In a tweet after Sunday’s match, Zadran wrote: "I'm very happy that I could to gave a good performance against DD at the start of @IPL for #KXIP." Zadran tweeted: "Hope to have the similar effort in upcoming games too." He also thanked all his fans for their support. 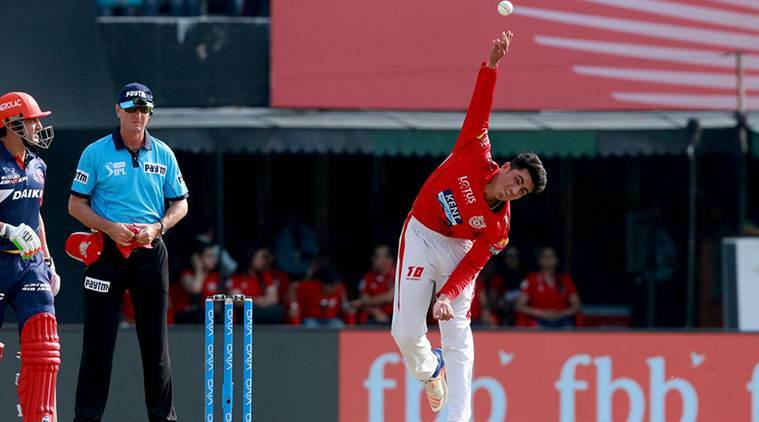 Afghanistan’s Mujeeb Zadran made his IPL debut on Sunday for Kings XI Punjab in India.